“With our committed hair stylists and their advanced skills, we can help customers to choose a hairstyle that would suit them the most. When your hair looks good, you feel good and others notice. You can arrange your hair to any style with the technique that suits your individual needs. If they were clothes, not the ready-made ones but haute couture. Based on ‘what you want to show or how you want to be seen’, we suggest the hairstyle mainly concerning reproducibility. We believe and would like each and every customer to be more beautiful and splendid. With the belief, we provide our committed service to our customers along with the hair care, damage free hair products from Japan and skills. Non- damage straight perm that can even improve your hair quality! 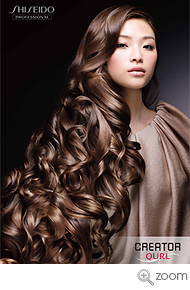 Unlike rebonding straight perm, it controls the hair that spreads or has uncontrollable waves. It gives such a natural straight finish look as though it has been treated. It makes the natural waves easy to manage. A cold perm and a digital perm can also be done at the same time according to the hairstyle and the hair type which also gives more hairstyle choices. It also makes the daily treatment super easy. 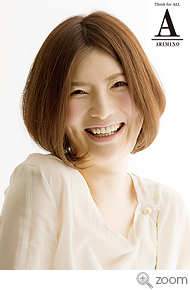 has given up on the preferred hairstyle because of the hair type does not suit the style. has dry hair that spreads and has difficulty to get glossy look. would like to reduce time between the blow dry and styling. would like to complete styling beautifully and easily. has small and cut off hair and/or has no more volume because of aging factors. In the method of digital perm or also called memory-form perm, moderately heated rods are used (hot perm). They are heated to memory-form the waves and the perm lasts 1 ½ to 3 times longer than the conventional cold perm method. Digital permed hair is also easy to stylise on your own. At our salon, we set the rods to lower temperature at 50 to 60 degrees Celsius and it is digitally processed. There is almost no damage to hair caused by heat. 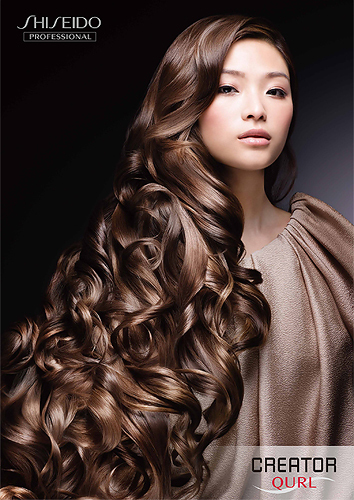 By using the chemicals by Shiseido Qurl, it is possible to create haute couture, custom made waves. the hair is damaged and cannot take the perm or it does not stay long. you would like easy styling in the morning. your hair cannot be permed because of straightening processes. The rebonding straightening process uses the chemical to soften the hair then heat treat it with the straightening iron. The rebonded hair keeps its straightness permanently. Depending on the individual’s waviness, if new hair growth is retouched every four to six months, smooth and streamlined straight hair is permanently yours. 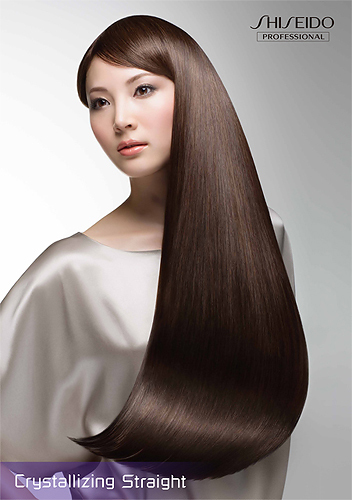 The Shiseido Creator Straight can give you the dainty, shiny and soft hair that can create the look you want. It also can work on the different conditions of hair and can give the possibility of straight designs. Your hair also stays straight when it becomes wet at swimming pools or beaches. your hair gives too much volume due to natural waves, too coarse, etc. it is hard to stylise and there is no shine to it. always wanted to have streamline straight hair. do not want to take too much time to blow dry. do not want to damage hair anymore from the heat of straightening iron, etc. If you want to get a youthful, healthy hair, you must treat your scalp first. The pores of the scalp sebum are often possible to get excessive secretion and dirt, thus the hair roots do not get enough oxygen. That creates the environment that is difficult for the hair to grow. Damaged hair by hair dye, hair loss, unwanted waves, and hair thinning problems that adult women have are caused by trouble to the scalp. At our salon, we use Shiseido Fuente (scalp care series) for head spa. First, use the deep cleanser and the shampoo to improve blood circulation of the scalp and remove dirt from pores. Then, use the conditioner to give moisture into hair and scalp. After that, use the medicated hair lotion to give nutrition to the scalp. The hair will be revitalized. We use massage technique for our head spa which gives you mind and body relaxation as well as facial lifting effect. 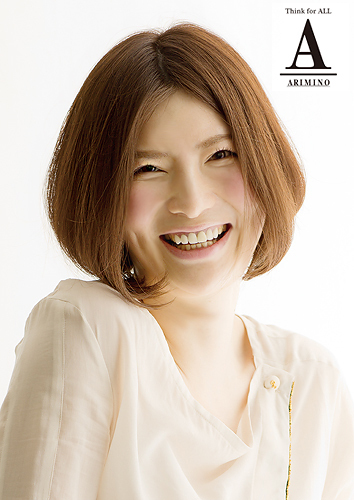 Arimino Asian Colour Design Expert has got them all. 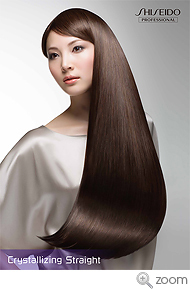 Currently popular product qualities are including the colour, life span, texture and gloss of the hair. The latest technology to colour from the inside of the hair shows a definite difference in the life span, colour shades and shininess of hair. The colouring from inside of hair is very unique. The alkaline colourant or weak alkaline colourant will be selected according to the desiring colour and damage level. In addition, to remove the black hair dye and home colour hair dye, we use low alkali black tint free. It can remove the hair dye without damaging the melanin. It is damage less and can take consistent brighter colour after the removal. “SHERPA”is the design supplement and salon quality treatment. It has twelve different kinds of treatments ranging from pre to after treatment combined with the process of colouring and/or perm according to the functionality. Unlike other treatments, it pentrates to the core of the hair cuticles whilst it is opened and fixes the pH balance disturbed by the chemicals. By using these treatments, you can have different outcomes such as clearer curls, smooth straightness or vivid coluring. The anti-aging treatment helps to maintain the hair volume that becomes less due to aging. Colouring : Suppresses the progression of damage, glossy even colouring and good for the colour retention. Straight : Damaged hair from iron straightening becomes soft and silky. Aging hair : Protects the hair of elasticity and gives the volume finish.